Ticket King Milwaukee Wisconsin: NCAA Conference Championship Games 2018 | Ticket King Inc.
NCAA Conference Championship Games 2018 | Ticket King Inc.
We have reached one of the most the most sacred weekends in the yearly sports calendar, college football’s Conference Championship weekend. Let’s go through the games one by one, and we'll predict the scores. PAC-12 Championship Game, Utah vs. Washington- This one takes place on Friday night in San Francisco. This will be a lower-scoring game than some of the others this weekend as both teams have great defenses. On offense, Utah is all about the running game, led by 1,000-yard rusher Zack Moss leading the way. On offense, Washington features one of the best quarterbacks in the country in Jake Browning. The Utah defense will give Browning a good chance to show off his skills for NFL scouts. Final score: 27-20 Washington. Big 12 Championship Game, Texas vs. Oklahoma- This one takes place at “Jerry World,” AT&T Stadium in Arlington, Texas. This will of course be the second match up of the season between these two teams, with Texas winning a barn burner 48-45 in week seven. Expect more of the same, an ultra-high scoring contest. Final Score: 59-52 Texas. AAC Championship Game, Memphis vs. Central Florida- Of all of the notable conference championship games, this one will be the least interesting. Central Florida is undefeated with the nation’s longest winning streak. Depending on what happens everywhere else, UCF could sneak into the college football playoffs. Final score: 38-16 Central Florida. SEC Championship Game, Alabama vs. Georgia- The one everybody’s waiting for. A year ago Georgia took down the mighty Crimson Tide and gave the selection committee a headache trying to explain Alabama’s presence in the playoffs. Can Georgia do it two years in a row? The laundry list of players who could affect the outcome of this game is too many to count, so let’s just skip right to the final score. Final Score: 31-24 Alabama. ACC Championship Game, Clemson vs. Pittsburgh- The high-powered Clemson Tigers vs. the reliable tugboat known as the Pittsburgh Panthers. Pittsburgh may be having a good season, but I don’t think they have enough to stay with Clemson. Final Score: 45-28 Clemson. Northwestern vs. Ohio State- For just the third time ever, the Wisconsin Badgers are not playing in this game. In their place is the Northwestern Wildcats, who are playing for a trip to the Rose Bowl. Pat Fitzgerald has built this program up from nothing with two-star recruits by focusing on attention to detail. I have brought him up before as a potential replacement for Mike McCarthy in Green Bay. But for now, he his program in the biggest game in its history. On the other side are the immortal Ohio State Buckeyes. Can Northwestern pull off one of the most improbable championship game upsets in recent memory? I don’t think they will, but if they do, and Texas beats Oklahoma earlier in the day, the playoff committee has a massive problem on their hands. Final Score: 38-27 Ohio State. WWE-Raw Returns to Milwaukee | Ticket King Inc. 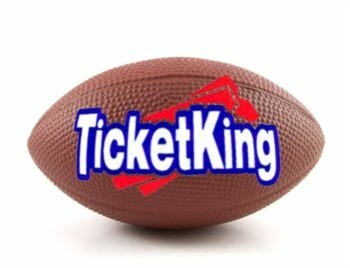 Bucks Tickets for Fiserv Forum | Ticket King Inc.